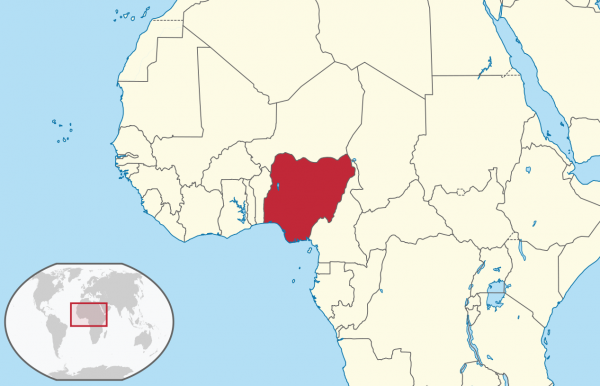 (Worthy News) - Muslim Fulani herdsmen killed 10 Christians in southern Kaduna state, Nigeria on Saturday (March 16), bringing the lives lost in the past five weeks to 140 with 160 houses destroyed, sources said. The silence from the “left” is deafening. Omar? Tlaib? Cortez? Is this one Trump’s fault as well? Pray for those left behind. Because (if they really were Christians and not idolaters of saints) those Believer's now slain, they are in heaven. They suffered a day, then heaven. It is to those left behind that our prayers need to be. Sadly, we no longer can find out just who being reported are actually Christians. Though when we are sure, give to their survival, their comfort, their children and old ones. That is what those now gone on to be with the Lord would have us do. Where is the link to donate to that cause? Where is the link to make sure that these truly were people who even knew Jesus? Because our resources are limited. Our funds few. We would do as the NT instructs us and benefit the household of our same faith, which is in Y'shua (Jesus) the Christ (Messiah) first and foremost. Then, if there is extra, it probably needs go to "the strangers" in our own lands, and the widows in our own neighborhoods, cities, and counties, and finally, our own countries first. And all of that, of course, after we have looked after the widows (desolate and abandoned women) and the fatherless children, in our own families. That's a lot of giving. Of course, the Holy Spirit of the Living God can prompt someone/anyone to do it out of that order, such as to give to Worthy who brings us news of our brethren's needs. It's all the Master's (our Lord's) money anyway. Or to the panhandler on the street. Only be sure if you do give to one who begs to ask them if they "Know Jesus?" When they say that they do, then ask them "if you know Jesus then why are you begging? Because his children do not need to beg." The usual response is for them to look away and refuse to once again look at you. But it says that God's Word does not go out void. Neither does the Gospel. And when you see Pastors up on their stages, ranting and panting in their begging for "pledges" and "donations" "as the Lord leads" etc. Run like hell is chasing you. Christians, and Messianics, and the Messianic kind of Nazarenes (who have nothing to do with churches of any kind) are to make their needs known to the brethren. They do not beg. And any wife or child domestically abused that makes that known to her fellowship, and the "men" of that group/family who fail to stop said abuse, it hinders their prayers. They fall out of favor with The Master whom so many of them call "Lord."